Choose a skirt/dress with a slit on the right side of the leg if you want to emphasize Ganchos, Boleos and any other Adorno. The right side is also the side that is shown to the audience. How high of a side slit is entirely up to you. I love to use 7-10” for Salon and 10-16” for Performance. Side slits look great on Pencil, Circle, Midis and even A-line skirts and dresses. Back slits provide perfect leg extensions. Be sure to have a back slit no higher than 10” to avoid any ride ups! The traditional hem length on a tango dress/skirt is below the knee but there is no rule for how long your garment should be. Petite women like above the knee while young dancers can pull off the mini. Longer lengths can catch in your heels so be sure to keep your toe pointing down when performing embellishments. Show off you back with interesting Cutouts, Low backs, Halters and Ruching. Your back is your presentation card, so be sure to have great posture to maximize your style. Traditional Babucha pants (balloon leg pants) have evolved thru tango times to slimmer leg styles but dancers still opt to keep side slits for Milongas. Inseams need hit at your ankle and be preferably tied, gathered or cuffed to avoid any heels catching or hems dragging. The fun part about shopping for tango apparel is that you can pretty much create your style based on these basic design elements. There are no fashion rules to mix and matching colors and fabrics so be creative and stay true to your own sense of taste! 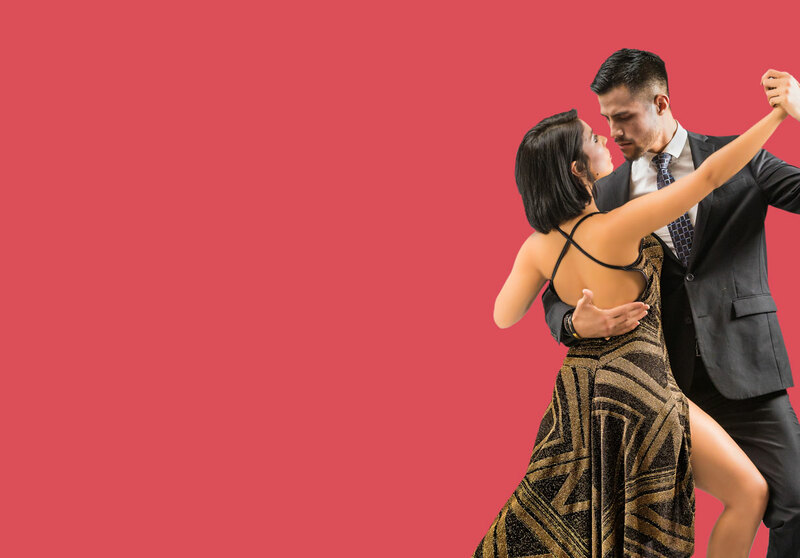 What is your tango style?